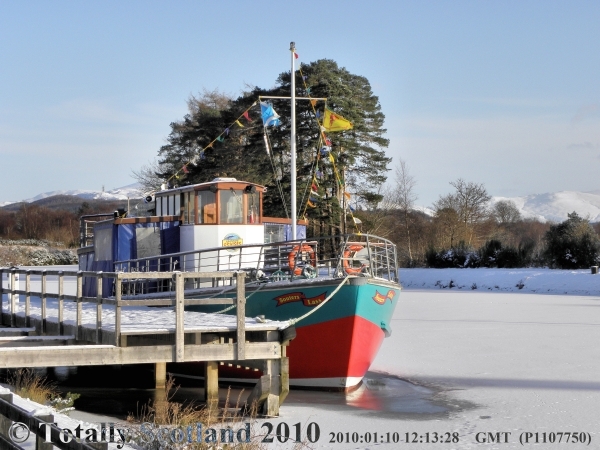 Iced into the Caledonian Canal (Inverness to Fort William) this January. The canal was scheduled to be open but, looking at the ice, nothing seems to have been moving. The weather has been much worse further north so this may explain why. Has 'Wind Guard' on her funnel and, according to posts on Ships' Nostalgia, was towards the end of 2009 in both Tyneside and Hartlepool. I don't know anything else about her or why she is here. 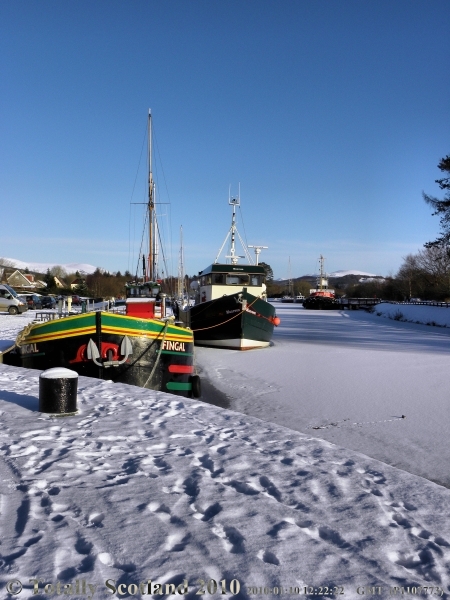 The frozen water looks really nice and white... kind of magical seeing the boats surrounded by ice. Much of the west coast of Scotland woke up to the tourist season at the beginning of March- trip boats, cafes, visitor attractions. 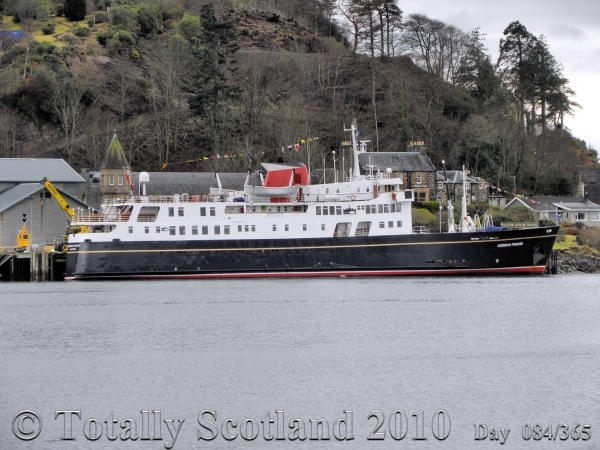 The Oban 2010 cruise season has started with the Hebridean Princess. 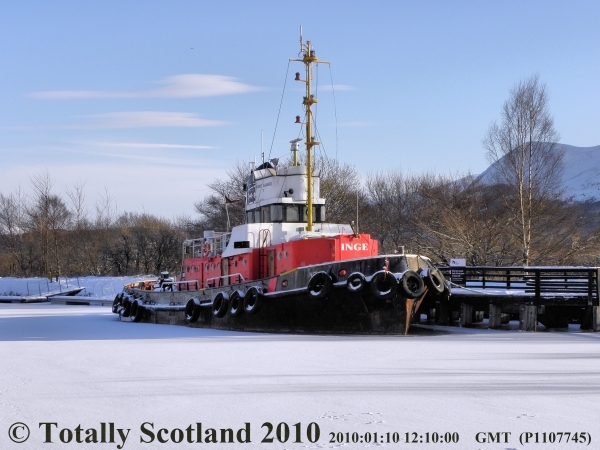 and this morning in a much clearer Oban. I'm glad they returned to having a much darker hull this year, last year's blue just didn't look right. 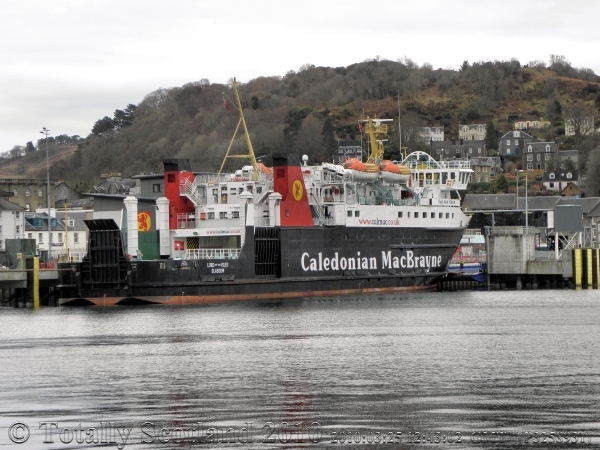 also in Oban today, the Lord of the Isles. 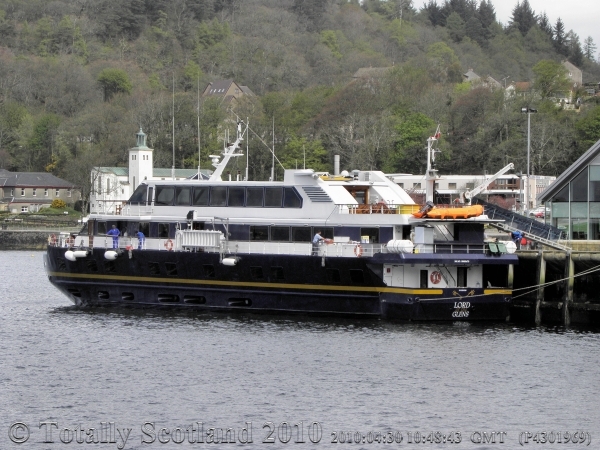 Lord of the Glens in Oban on 30 April 2010. Prices for the cruise through the canal seem to be falling so I might just go along once I catch up on everything I didn't do last month. 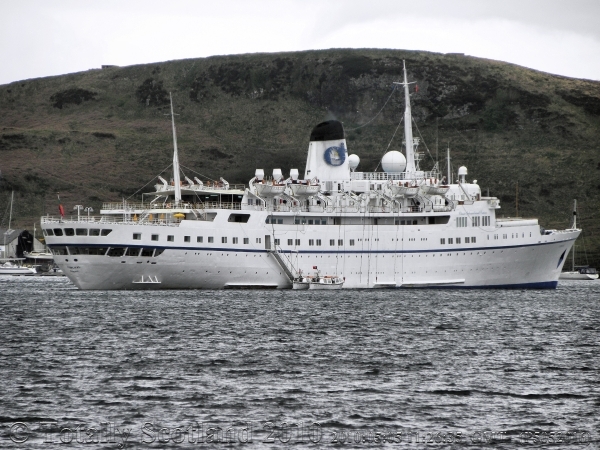 Funchal in Oban Bay this morning. It proved difficult to get decent photos because of the strange light that existed because of the return of the volcanic clouds. Good to see Funchal working. 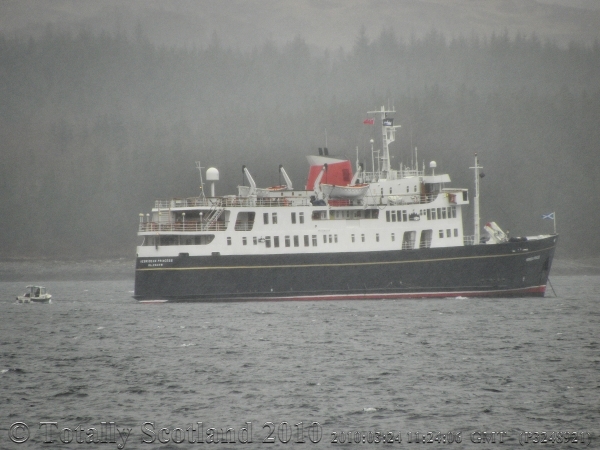 Have anybody seen m/v Vermland on the west-coast of Scotland? 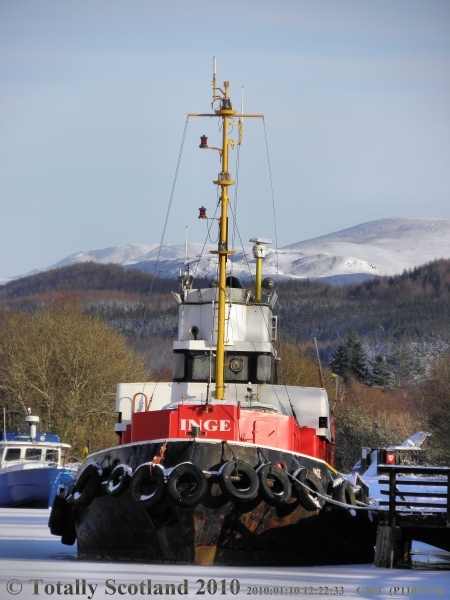 In Kyle of Lochalsh at lunchtime, don't know where she's heading next but will keep my eyes open for her. Yes that is the correct ship. 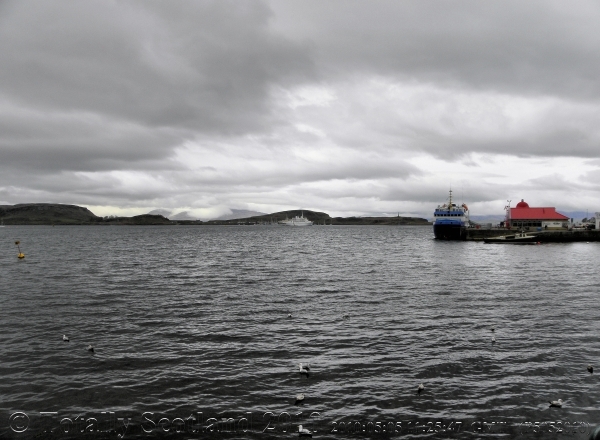 The picture you linked til was taken i Harstad. 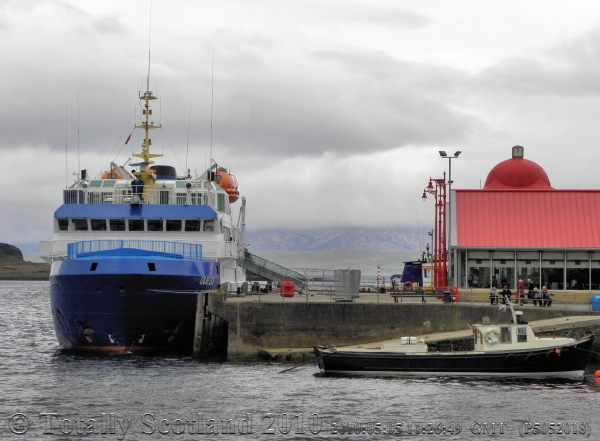 I wonder why they are heading for Faroes? 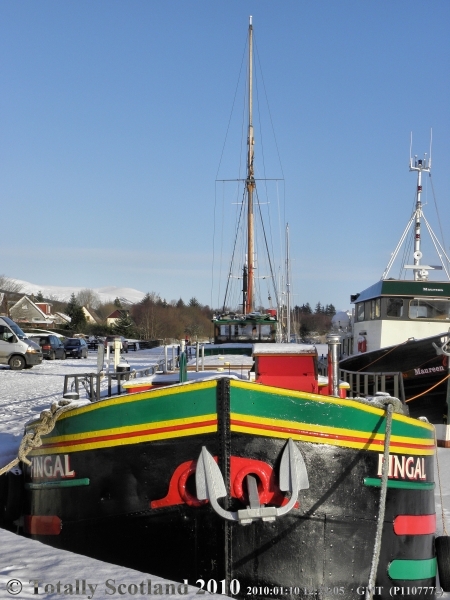 Are there any other Fish-feed delivery boats on the west-coast at the moment? 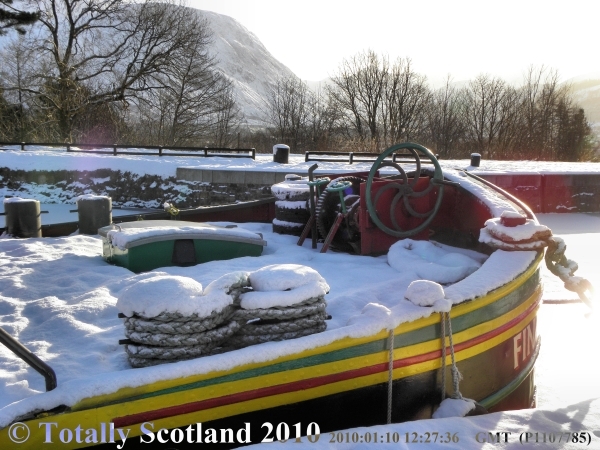 I worked on deck on Vermland for four years, and we had three trips to Scotland after she was sold to show the new crew and the fish-farms how things worked on the ship. 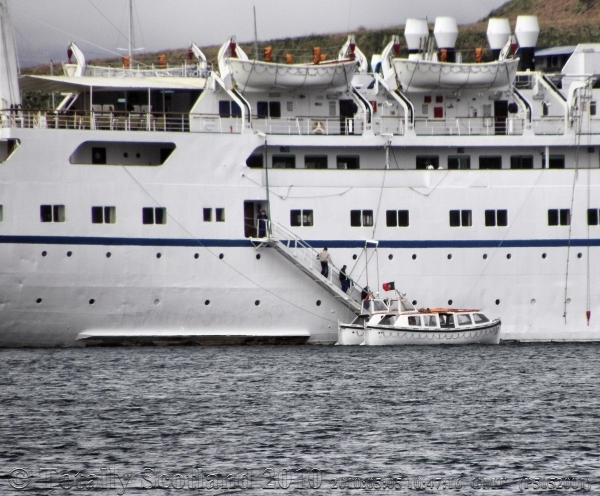 I wonder why they are heading for Faroes? Are there any other Fish-feed delivery boats on the west-coast at the moment. I would think there are several... mostly I see the well-boats though. The feed seems to be stored on-site in big tanks (look like submarines) so they must be filled up from something. I do see trucks loaded with sacks of feed but I'll watch out for boats over the summer and take photos of any I see. Where about did you go on Vermland? When I was on Vermland we were transporting feed in Norway, mostly the northern part of Norway. In Scotland we only traveled on the west coast and out to the Hebrides. If that is still the situation, then I must see Vermland around the local lochs. I'll look closely next time I see a ship near a fish farm.